Welcome to Farrell Transport, we offer logistics, nationwide deliveries, warehouse, storage and distribution and parcel services in and around the UK. A high quality, privately owned East Midlands based logistics business you can reliably depend upon. Incorporated in 1987 and from humble beginnings as a local haulage business, Farrell Transport Limited has grown into a respected multi-million pound turnover operation. Operating from our fifteen acre site in Staunton by the A1 in Nottinghamshire, we boast over 100,000 square foot of warehousing. 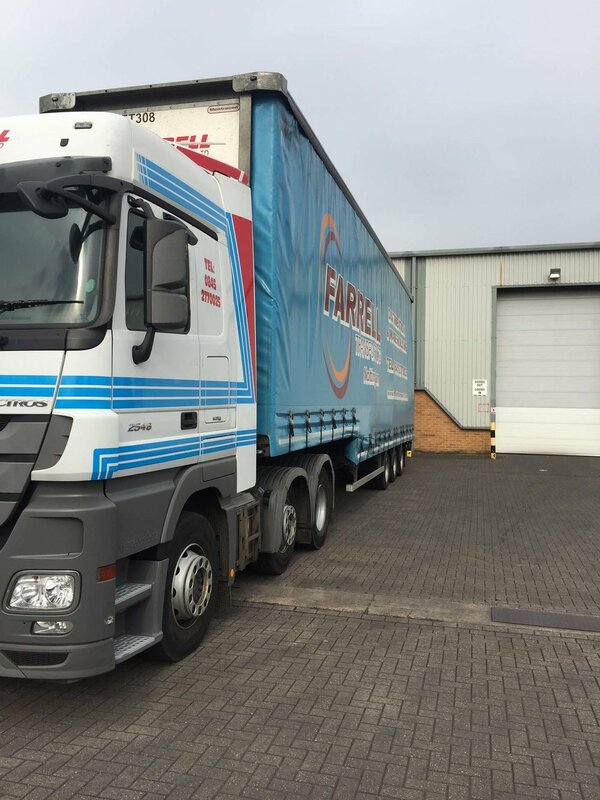 Farrell Transport Limited are totally committed to outstanding service, quality and competitive pricing on haulage, distribution services and warehousing. As a one stop shop for distribution of your product through our warehousing and transport network, we are strategically placed to offer tailor made supply chain solutions for you.